Infrastructure consolidation to cloud services, mobility upgrade, CRM, collaboration tools, identity and access management. The change to how ICT is delivered to our internal and external customers will provide a better service and more ability to iterate and innovate on cloud platforms. 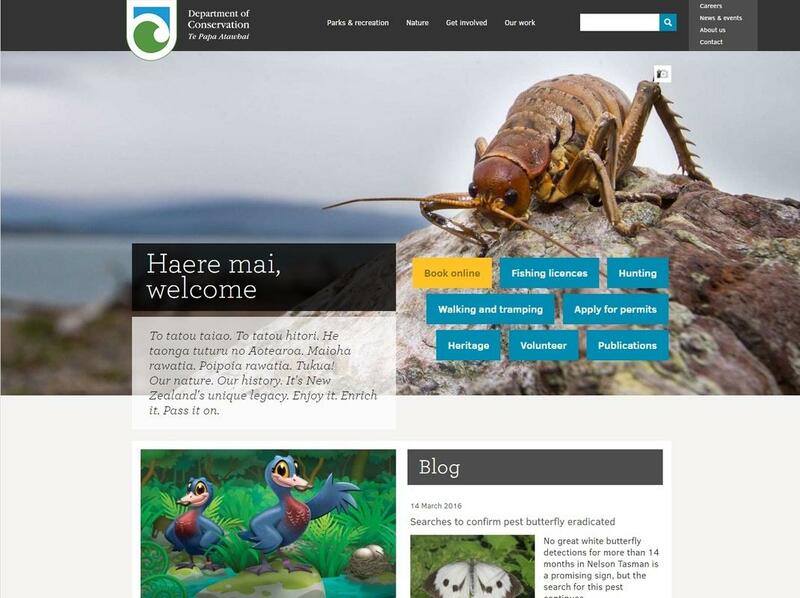 THE DEPARTMENT OF Conservation (DOC) runs programmes to protect and restore New Zealand species and places, and provides opportunities for people to engage with these treasures. It essentially looks after 35 per cent of New Zealand’s lands, including the most rugged terrains. The department is one of New Zealand’s biggest tourism operators, and some of the things it is responsible for, like the national parks, are core to the identity of New Zealand. DOC does this work by forging partnerships with government agencies and private firms, as well as working with some 37,000 volunteers. This portfolio allows the ICT team to work on a range of innovative projects, using technologies spanning cloud, geospatial information and remote sensors, and mobile radio and telephony solutions. A recent project, for instance, was ‘royal cam’, a webcam beside an albatross nest at the albatross colony at Taiaroa Head on Otago Peninsula near Dunedin. The public can then view the hatching. This is a project with the Otago Peninsula Trust, Pukekura Co-management Trust, Wellington City Council and Dunedin City Council. Ageing infrastructure has to be replaced, he says. “The move to cloud/platform services will require considerable change to existing business applications and data management. This year, he says ICT project numbers will go up by up to 20 per cent compared to 2015.